Those of you who have studied religion, myth, parable, culture and folklore know that there are parallels and crossover to all walks of life. Lessons taught in one context are often applicable to many other situations and can sometimes be extremely valuable. The following experience did just that for me. A few weeks ago, while at church, almost unexpectedly, the homily at mass just resonated with me. Although the priest was making reference to faith, I saw a tremendous parallel to my own experience in health. 1. The Footpath: One who hears but does not listen. The “seed” never takes root. 2. Rocky Ground: One who hears and listens but does not absorb. The seed takes only a shallow root. 3. Thorny Ground: One who hears, listens, absorbs but soon gets overwhelmed by opposition. The seed takes roots but gets choked from the surrounding thorns. 4. Rich Soil: One who hears, listens, absorbs and practices. The seed is nurtured and produces great fruit. In listening to this, the parallel to my experience with health and fitness was mind-blowing. Every day I interact with people and come across different levels of interest and adherence. In essence, this was the perfect way to look at the sowing of my “health” seeds. I used to break people in three groups: about a third of the people I talked to wouldn’t listen and didn’t change, a third listened intently and changed willingly, and a third that could go either way depending upon how I presented the information, where they happened to be in their life or a number of other factors. But that model was never quite complete, it was always missing something. This soil analogy just seemed to resonate perfectly: it gave me layers and context. The Footpath: These people will be resistant to new information. No matter how great a seed you lay on them, there will be no acceptance. We have all met plenty of people in this category. They are resistant to change and might allow you to share your information, but they will just let it sit on the surface and never give it a chance to sink in. Trying to force the situation with these people is like trying to stomp seeds into hard ground. You’re going to get tired, frustrated and just destroy the message in the effort, no matter how noble it might seem or how hard you might stomp. The Rocky Ground: These people will listen to the message and will be willing to accept it. They will likely be excited and say things like, “I’m in. Tomorrow things will change.” By the time they wake up the next morning, the excitement has faded, it’s business as usual, and nothing ends up changing. The message takes some roots but dies out quick when the time comes for actual change in behavior. How many people can relate to this? The Thorny Ground: Here lies the folks that hear the information, listen to the message and start to practice the behavior. However, as soon as some opposition comes, the resolve fades away. Whether in the form of a media health report, a doctor with a prescription pad or a friend with an opposing point of view, the thorns soon overwhelm and choke the once promising seed. The intent is often there, but the resolve isn’t. Always frustrating from a health practitioner’s point of view. 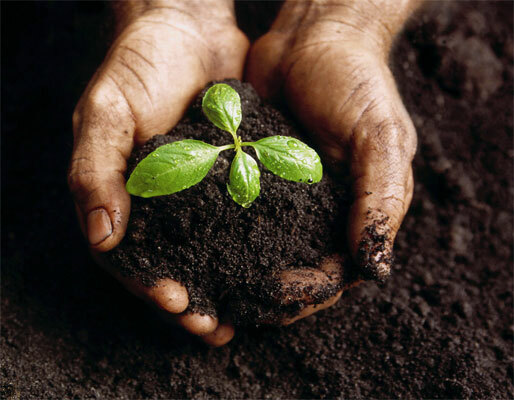 The Rich Soil: Here we have the health practitioner’s dream… the people who hear, listen, absorb, practice and thrive. We don’t always know why people get to this place but when they are there, those health seeds take deep roots, flourish, and often even spread to those around them. These are the people many of us see writing blogs, books and proclaiming the life changing powers of their new healthy lifestyles. How great it is to see people fall into this category… so many lives are changed for the better. Many people are familiar with the Rocky Ground and Thorny Ground. We’ve all been there in one way or another. Life is challenging. Changing your life is work. You will encounter some opposition. But when the time comes to get healthier, you will be capable of deciding to no longer let obstacles or thorns slow you down. Ultimately we have the power to become fertile soil if we choose. For those Rich Soil folks I congratulate you on the benefits you have likely reaped from sowing the seeds of health. But remember, you were once rich soil, but are you still? Are you open to new ideas? All of them? Or are you closed to ones that oppose your current views? Remember, rich soil can quickly turn to less fertile ground if not maintained. Don’t become thorny soil, rocky ground or the footpath. Continually sowing seeds of all kinds leads to the most bountiful gardens. So no matter what kind of soil you are today, go out there and become the soil you want to be. Be fertile and nurturing. Sow seeds of all kinds. Be rich soil. Learn. Absorb. Treasure. Ponder. Practice. Proclaim. Become a garden of health.